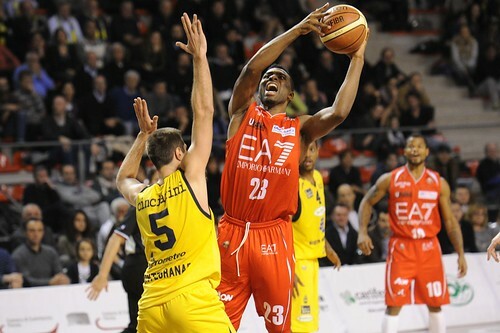 Keith Langford in Ancona set his new personal best in the Italian League by scoring 30 points. It was also the best scoring performance of the week in Italy and for the entire EA7 Emporio Armani season (before Sunday the best scoring performance belonged to Ioannis Bourousis with 26 points). The game went beyond that: the last time an Olimpia’s player touched 30 points was during the 2008/09 season, on February 15th when David Hawkins scored 35 points. Ironically it took place against the same opponent, Sutor Montegranaro, in a road game. The difference: at the time, Montegranaro was playing its home-game in Porto San Giorgio, now it’s in Ancona.